Note: In an appeal filed today, Open the Government is challenging the administration’s secrecy surrounding family separation policies. The appeal demands full disclosure of information withheld in response to a request filed by OTG and the Project on Government Oversight that exposed a secret memo that contradicts statements made by Secretary of Homeland Security Kirstjen Nielsen and fueled calls from Congress for her to resign. The memo and heavily redacted files illuminate the need for further investigation into the administration’s policy behind the crisis that continues today. 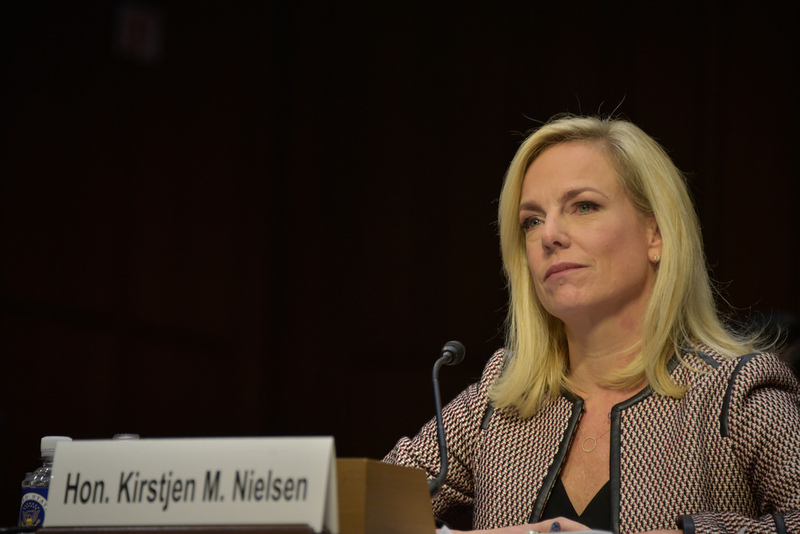 If the president follows through on his threats to ask Secretary Nielsen to resign, she will leave the administration with a trail of unanswered questions about policies that destroyed the lives of hundreds of families. It will be up to Congress and the public to unearth her buried secrets about border policies, and ensure all the missing children are reunited with their parents. OTG’s appeal challenges DHS’ withholding of information that should be disclosed under law, including the improper use of redactions to hide information about record keeping systems used to track separated children. Redactions also include Secretary Nielsen’s signature, suggesting that legal exemptions were abused to shield the Secretary from accountability for her misleading statements, rather than to protect sensitive law enforcement techniques and practices. Abuse of these exemptions is not reasonably justified as necessary for law enforcement purposes and must not stand. The records are critical to ongoing efforts to reunite children with their parents in the wake of the administration’s failure to do so, violating court orders. As Secretary Nielsen’s departure appears imminent, Congress needs to demand records that are still secret and investigate decisions made to separate children from their families.